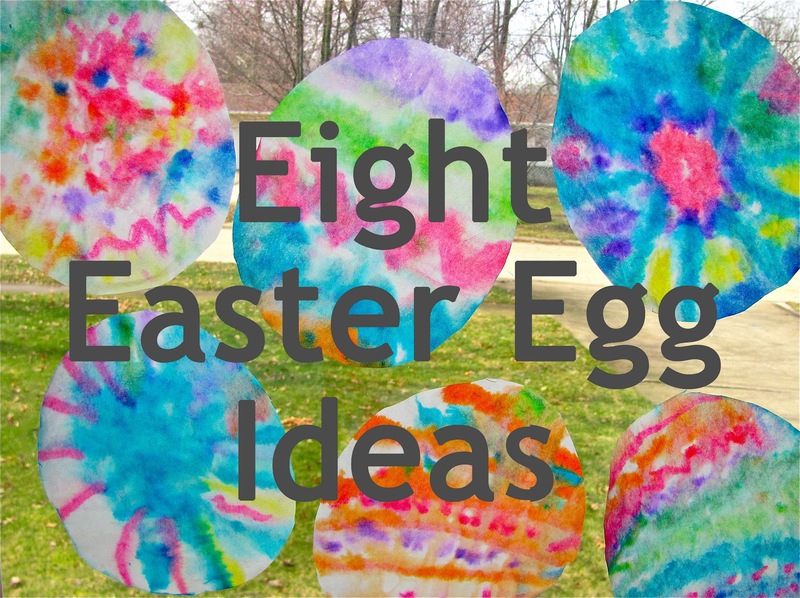 The Chocolate Muffin Tree: 8 Easter Egg Ideas: An Eggstravaganza! WOW! I have quite a collection of Easter Egg projects! If you need some ideas come on over! Just click on the name under the photo and it will bring you to the project and instructions! Quite an Eggstravaganza!!! WHAT ARE YOUR FAVORITE IDEAS??? LET ME KNOW IF YOU TRIED ANY....? PLEASE SHARE SOME OF YOUR IDEAS!!! I love dropping in - I enjoy your colourful, uplifting pictures, and easy to understand "how to's". Your enjoyment of your daughter, and of the process of art are inspiring! 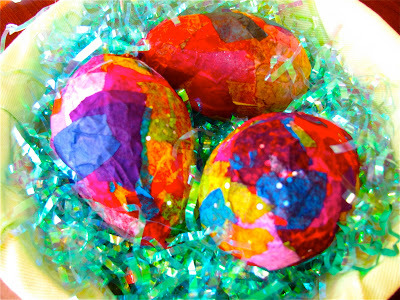 I love the idea of the Paint Chip Egg Decorating - will have to offer that at the collage table. Today we melted crayons to decorate our egg shapes. okay, the yarn lanterns are super-fabulous!!!! for some reason blogger won't let me email you...my email is JLD1983@aol.com for the spin-art machine. I LOVE IT!!! I CAN'T WAIT, seriously!!! Wow those easter eggs are amazing, thanks so much for sharing these with us. 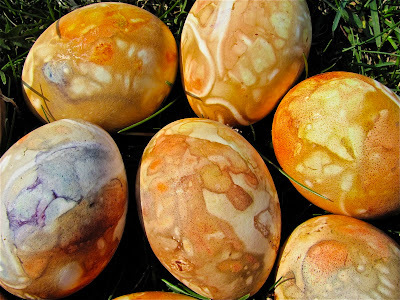 Great list of Easter egg ideas! Last year we had fun using bleeding tissue paper to decorate Easter eggs. I think I got the idea from The Artful Parent. Very much colorful, what kind of color do you use for these painting?